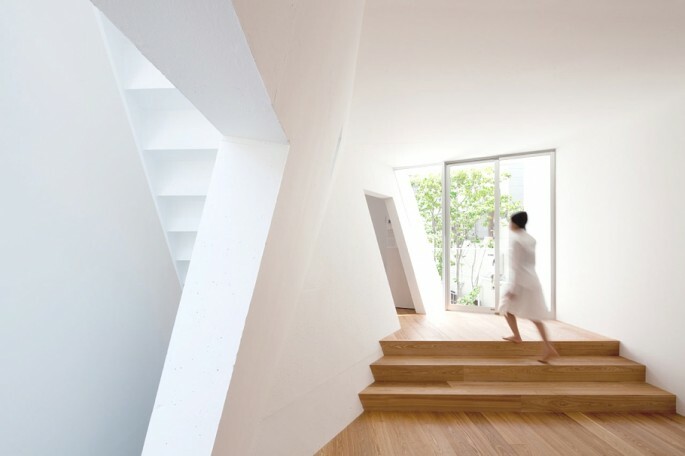 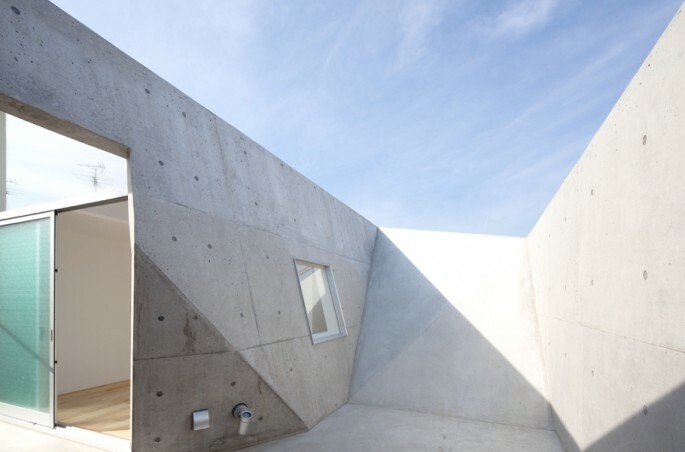 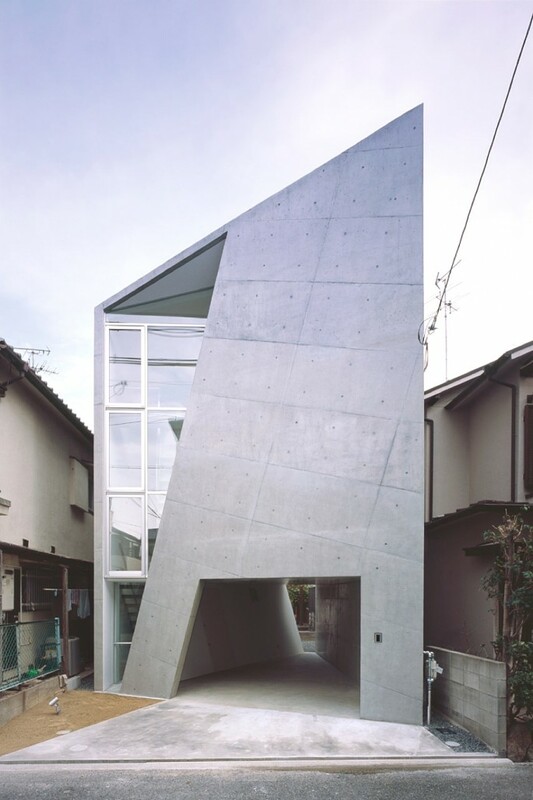 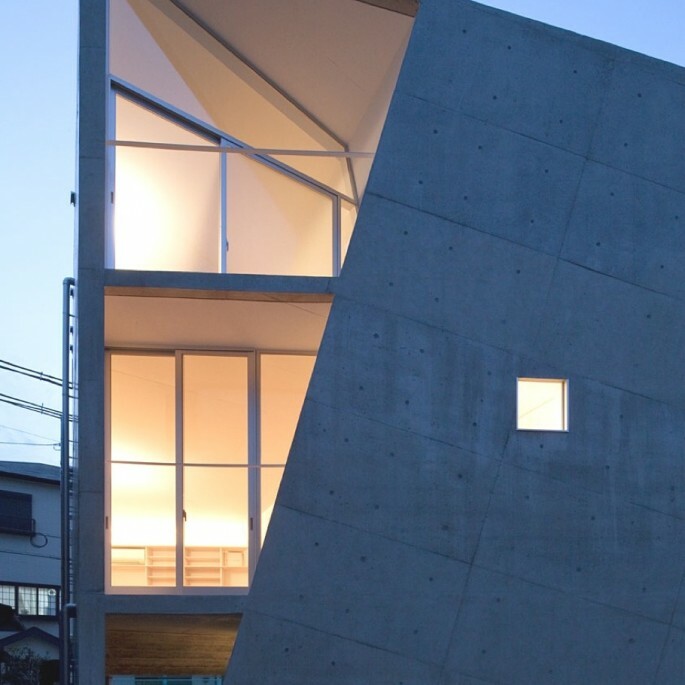 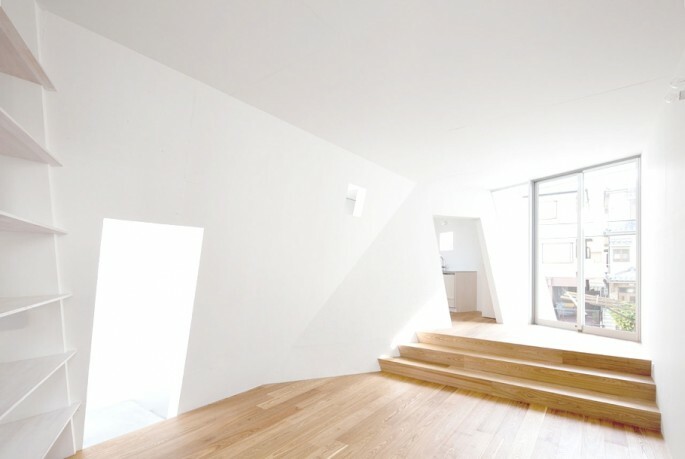 According to the architects: “The concept of this project comprises of four cubes. 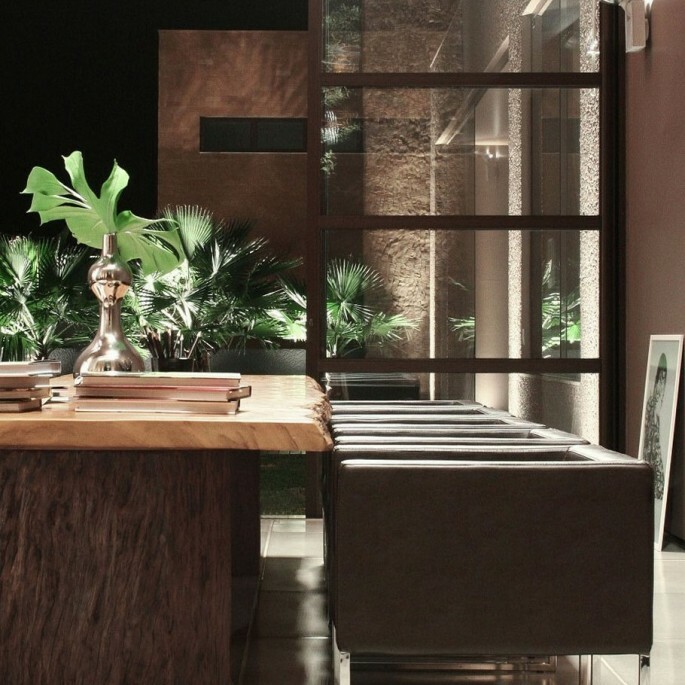 The volume covered with caramel Portuguese tiles signalises the entrance hall and a glass window of 2x5m, reveals the living room. 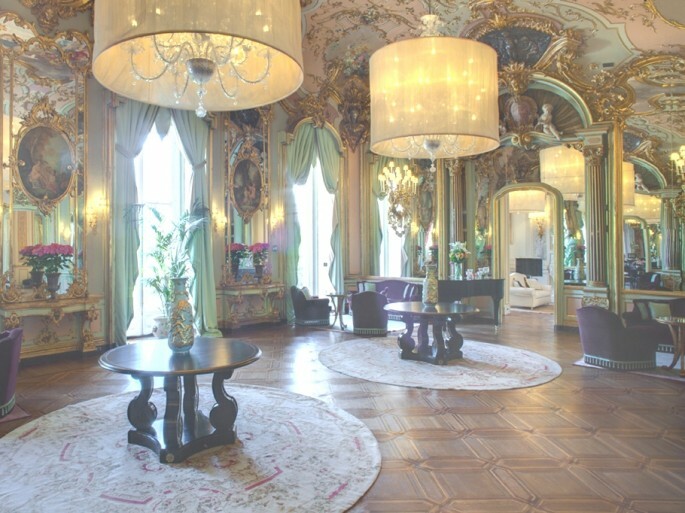 All the leisure and service area are intertwined on the ground floor, painted in a chocolate tone, is at the base of the upper floor, where the intimate area is located. 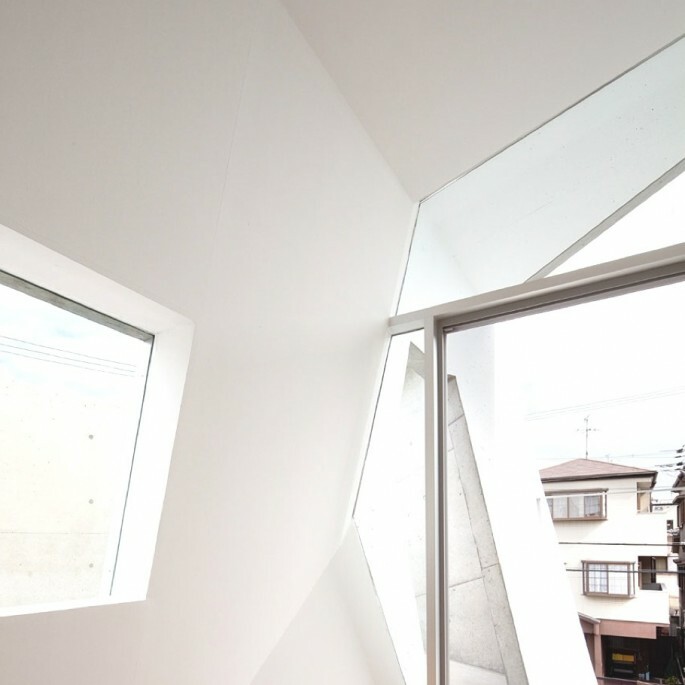 “Exploring the cube concept, the application of coating materials subvert the traditional employment. 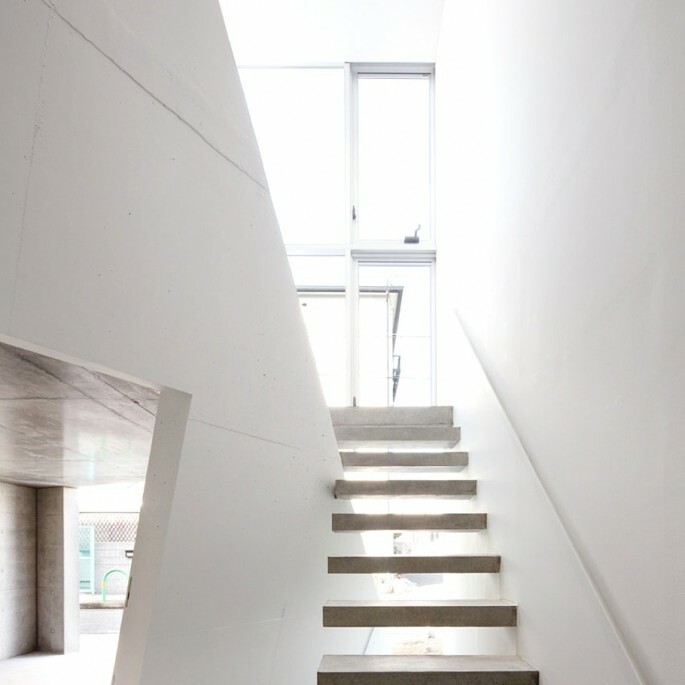 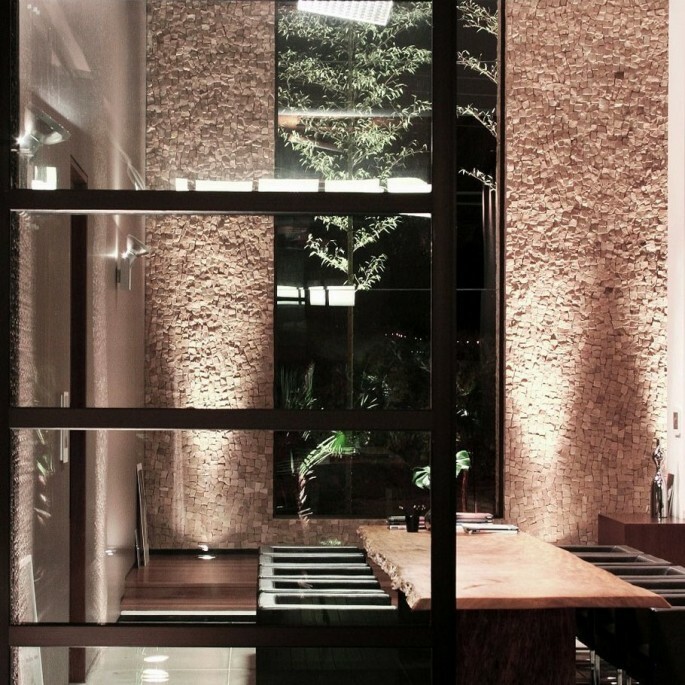 Both stone coverings and wood floorings were used in order to seal all the volumes in a global way, overlaying simultaneously walls and floors. 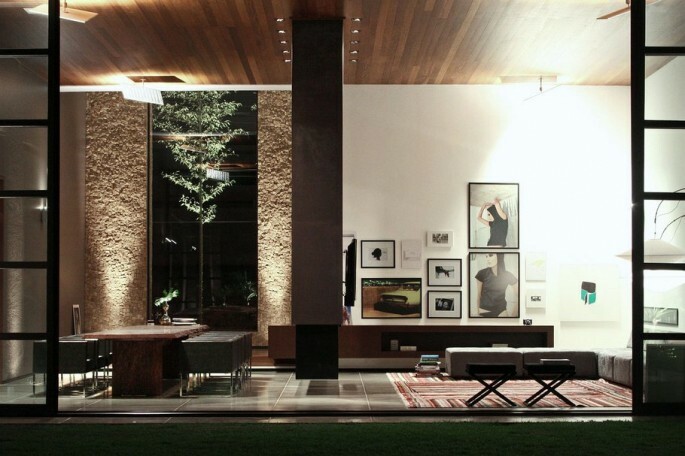 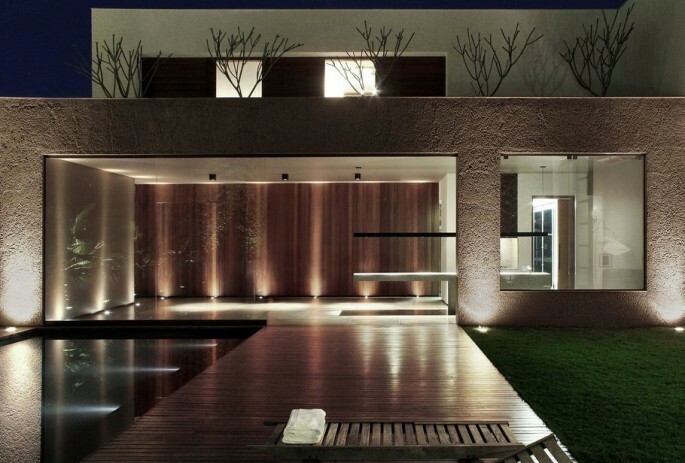 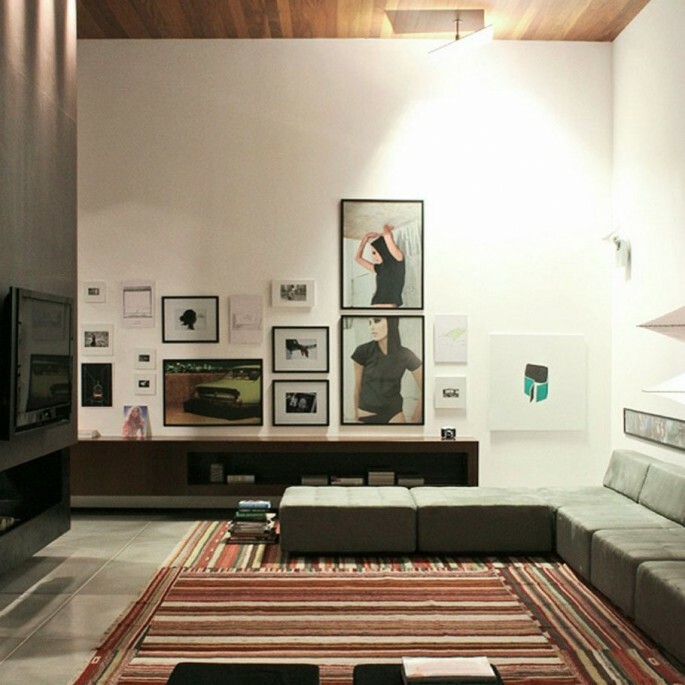 This concept grants strength and continuity to the contemporary Brazilian building. 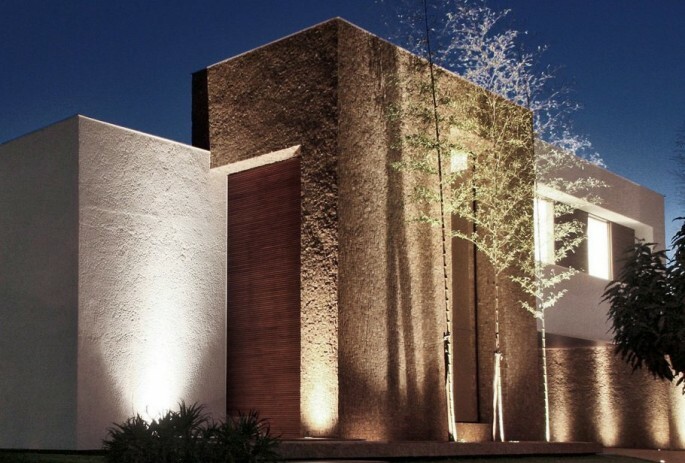 “All the materials and textures were decided at our first meeting with our client, they wanted a contemporary Brazilian house with modern lines and at the same time ‘warm’ materials with many textures to provide a cozy feeling. 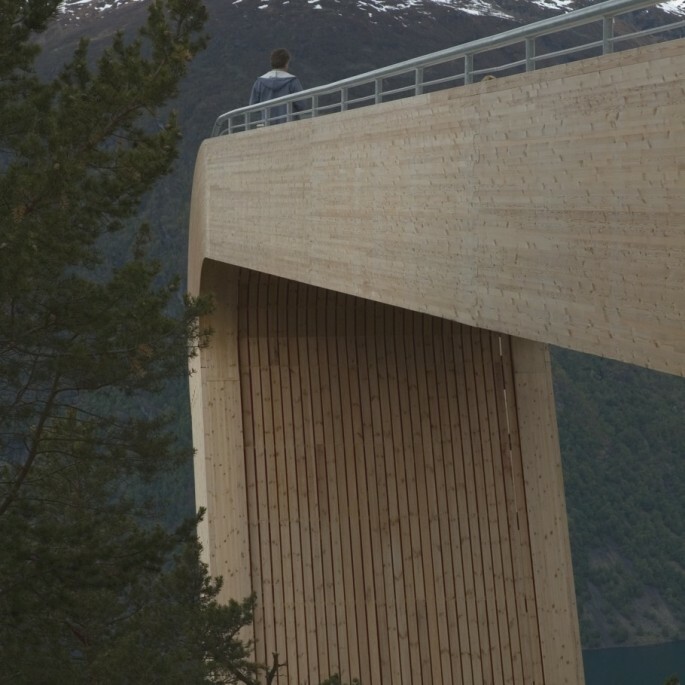 Nothing is linked with fads but a fresh look at materials that can be found easily in the region. 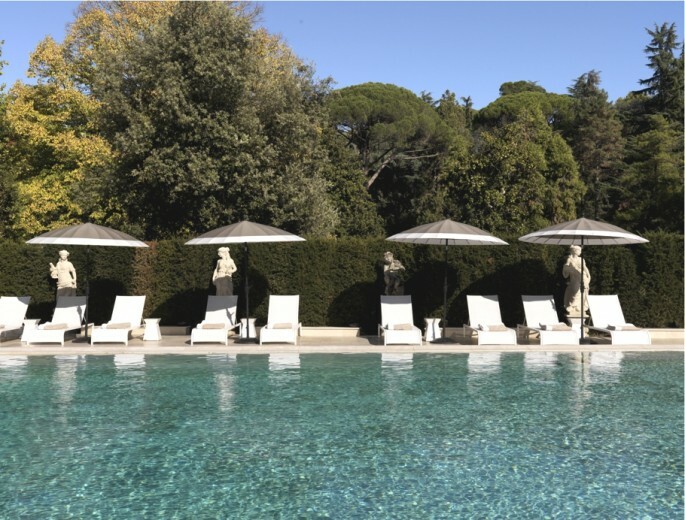 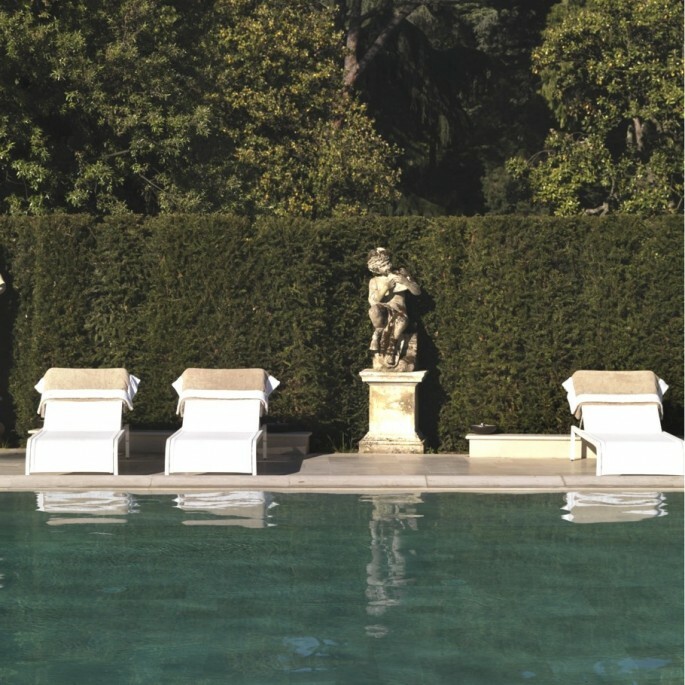 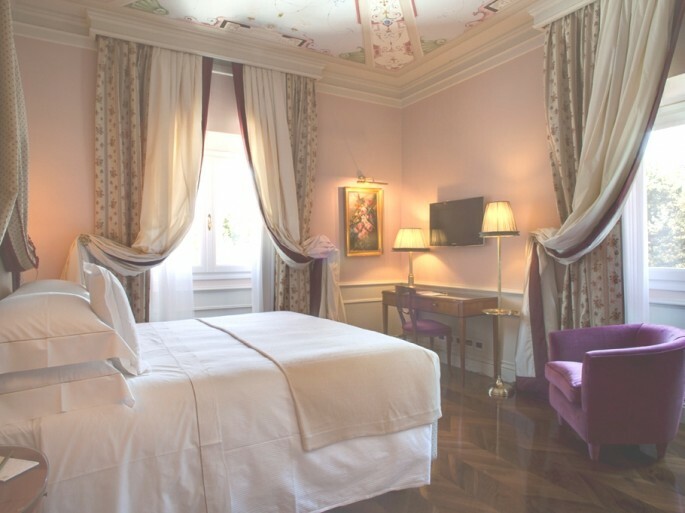 The Grand Hotel Villa Cora is located inside a centuries-old park that overlooks the Boboli Gardens, on the hills just outside the historical centre of Florence. 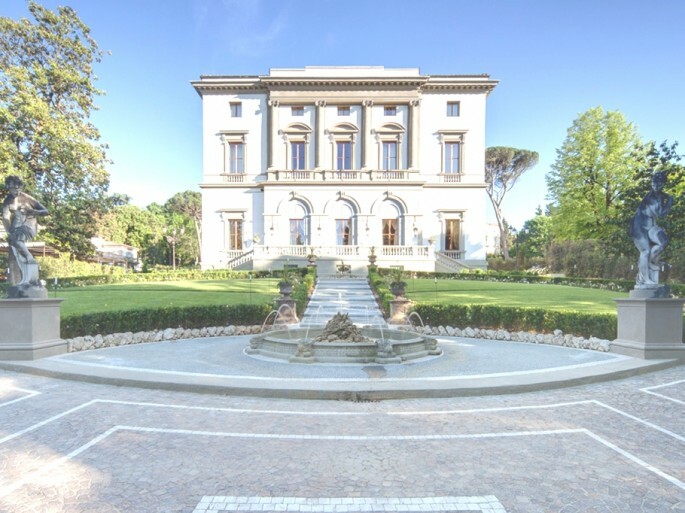 The main villa is an aristocratic residence built at the end of the XIX century by Baron Oppenheim reflecting the architectural styles of that period, dominated by a strong eclectic decor that provides the villa with different, sometimes even bizarre, artistic styles. 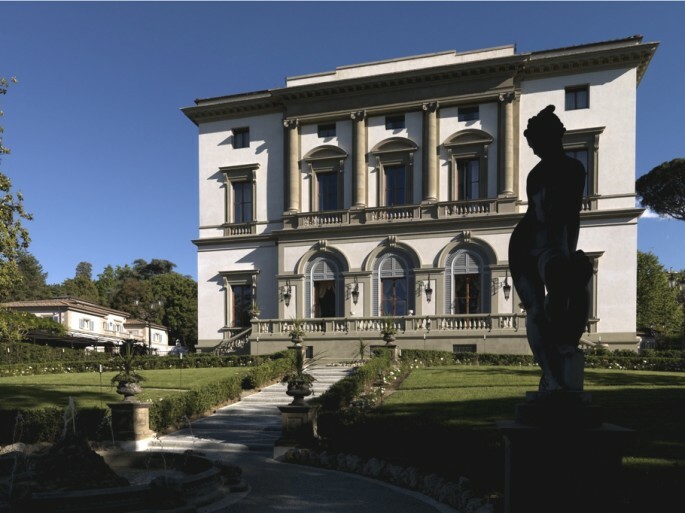 Villa Cora, inaugurated when Florence was the capital of the Kingdom of Italy, has become throughout the years one of the major cultural and cosmopolitan symbols of Florence. 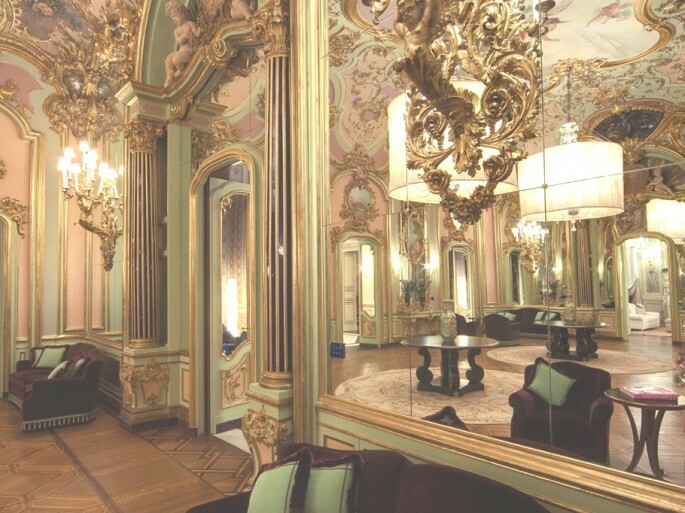 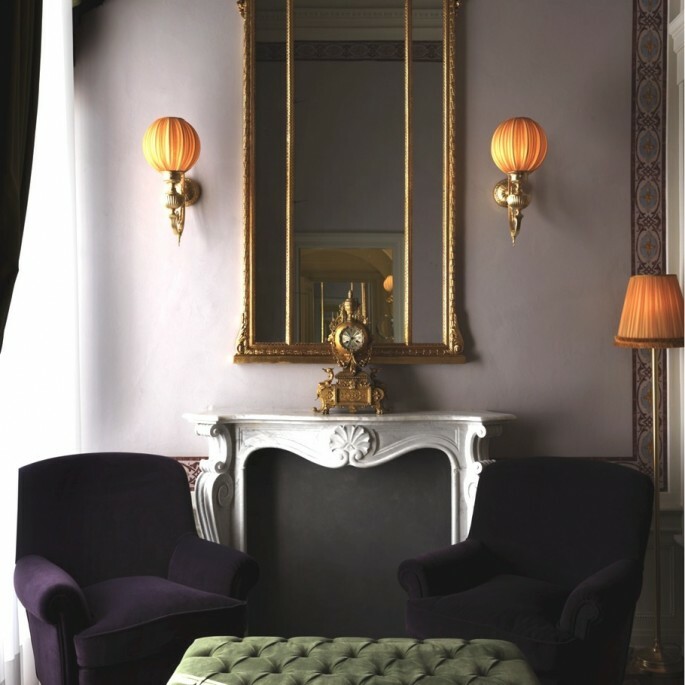 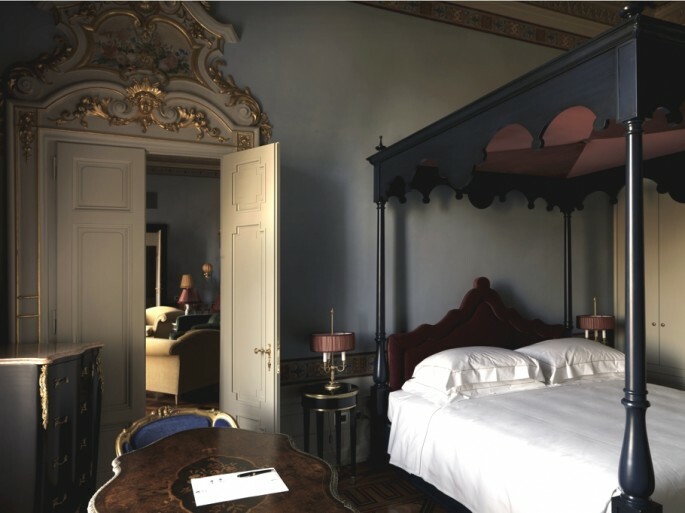 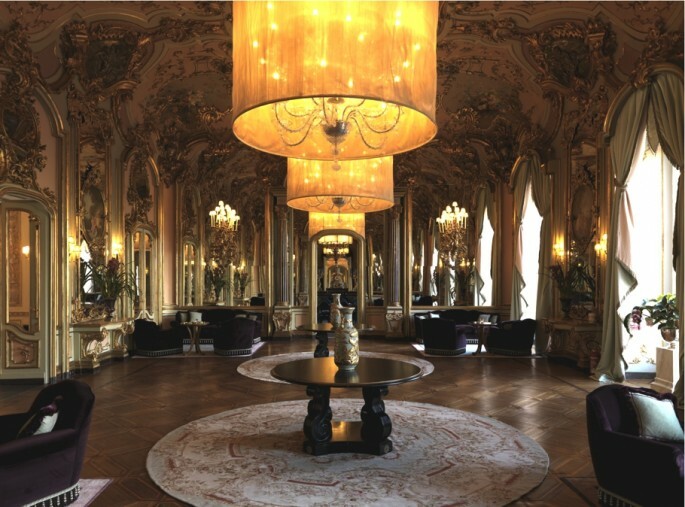 The luxury Florence hotel is comprised of three different structures which were restored to the minutest of details with the aim of conserving the original architectural style as much as possible. 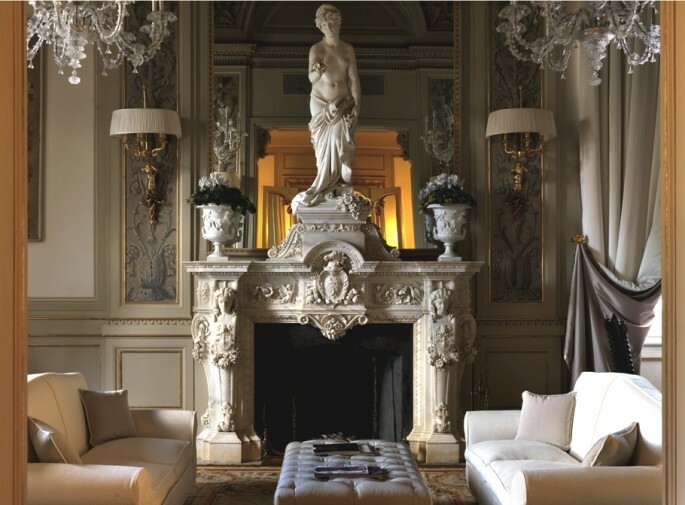 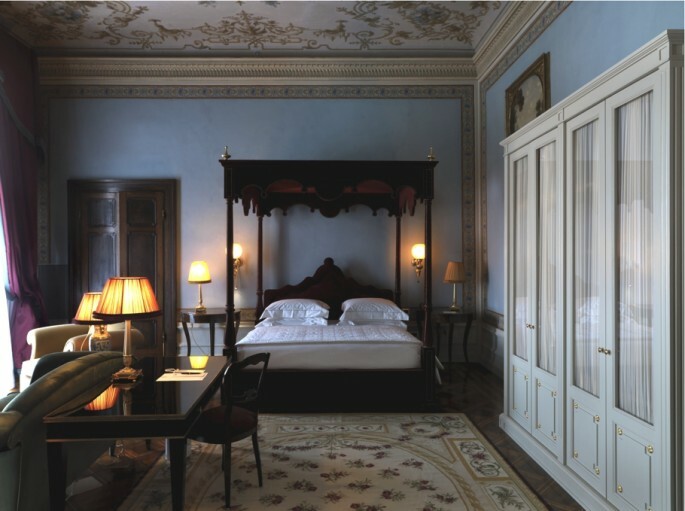 In the main villa (Villa Cora) there are 30 suites and rooms divided into 4 floors, each with its own style. 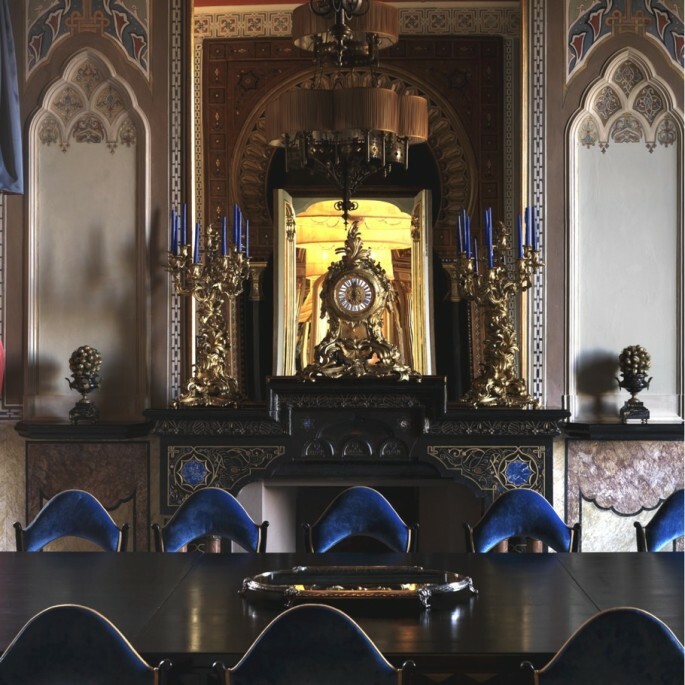 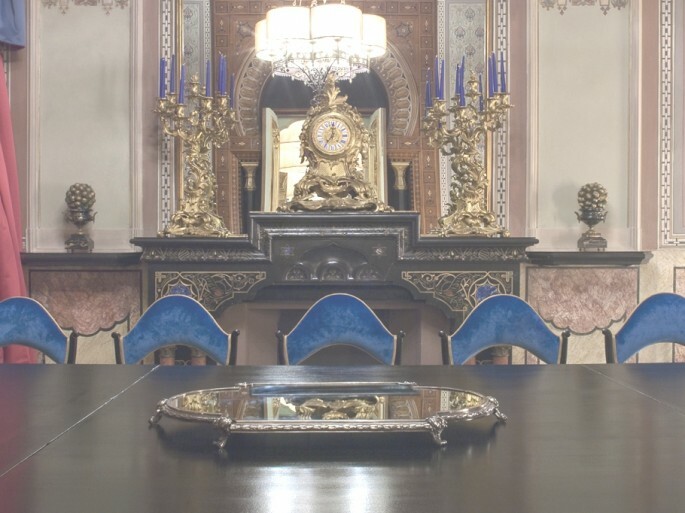 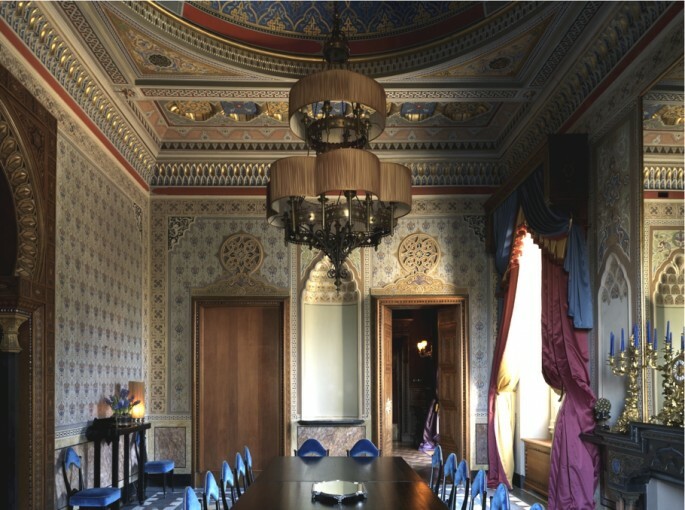 The decorations were inspired by famous people who have stayed there, such as the Japanese Emperor Hirohito to whom the imperial suite is dedicated. 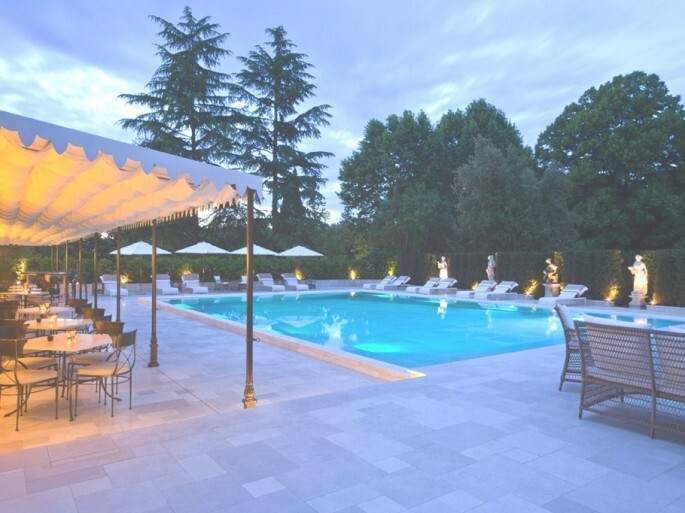 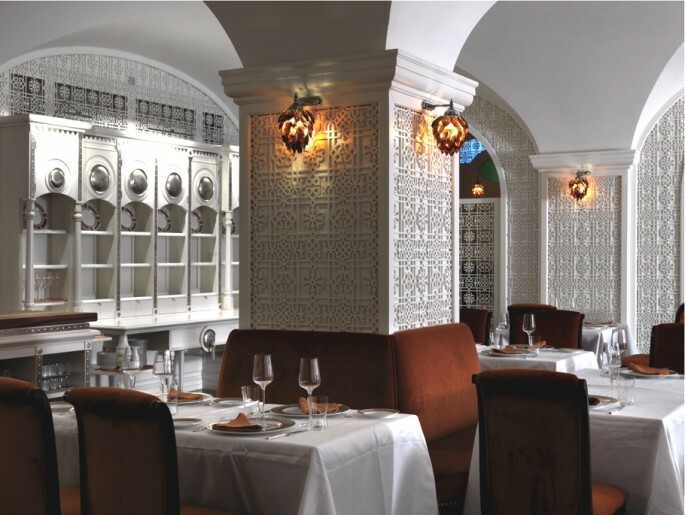 The luxury Florence villa is also home to two restaurants. 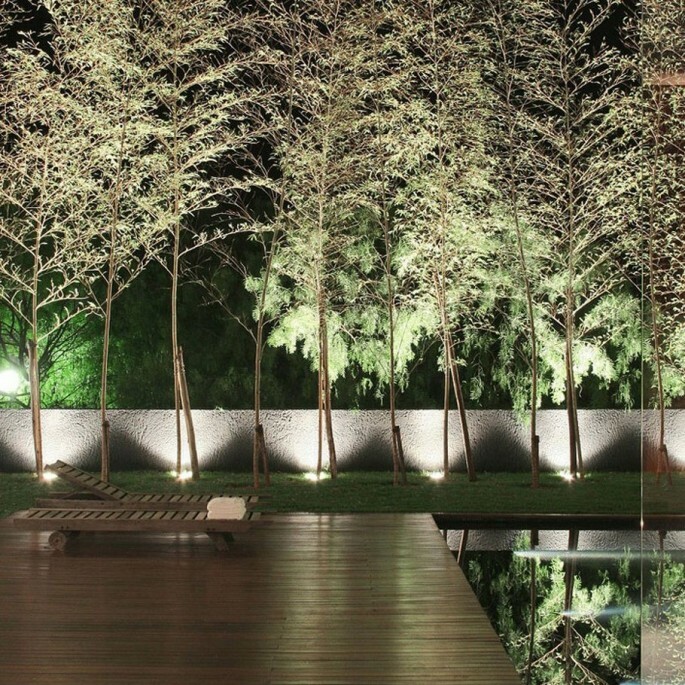 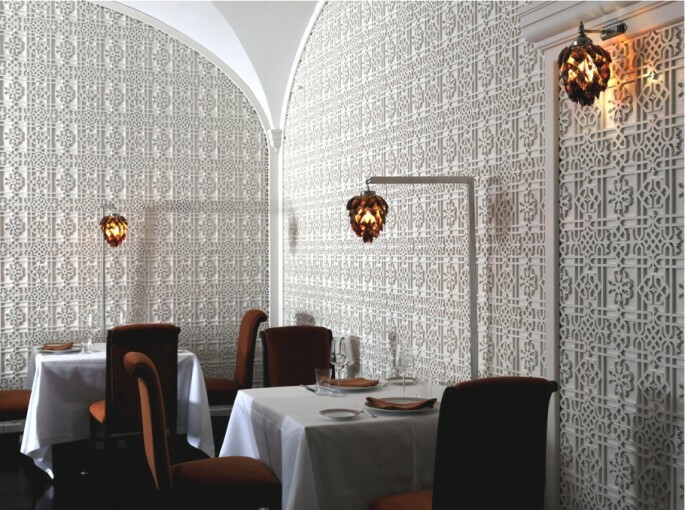 The first of the two is located in a luminous winter garden, while the second in located in the villa’s ancient cellars. 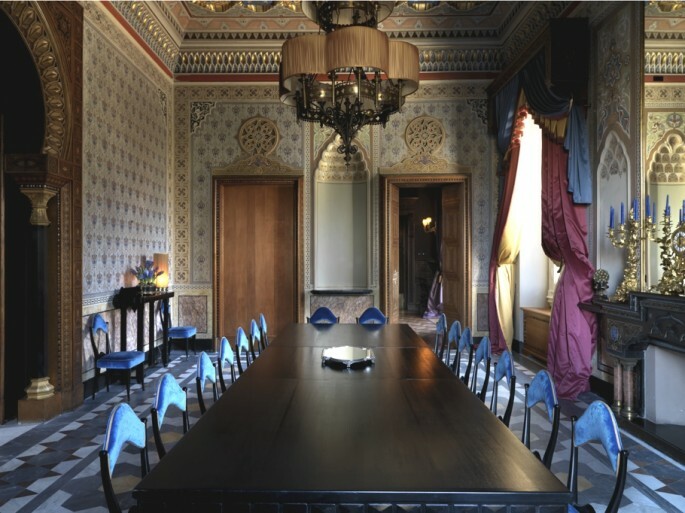 The latter is dedicated to the Pasha Isma’il who stayed for numerous years in the villa. 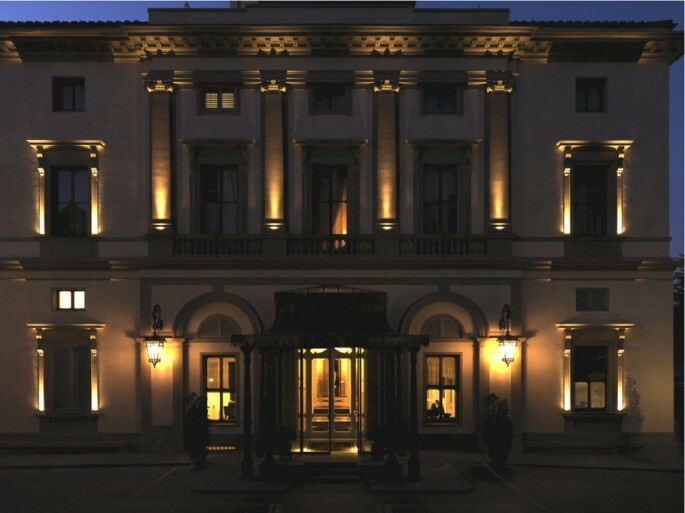 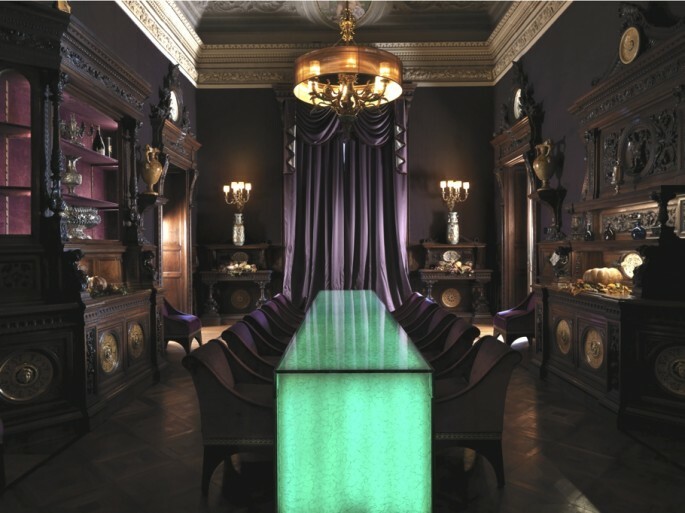 The luxury Florence villa comes with its own spa offering luxurious treatments such as tepidarium, sauna, and hammam. 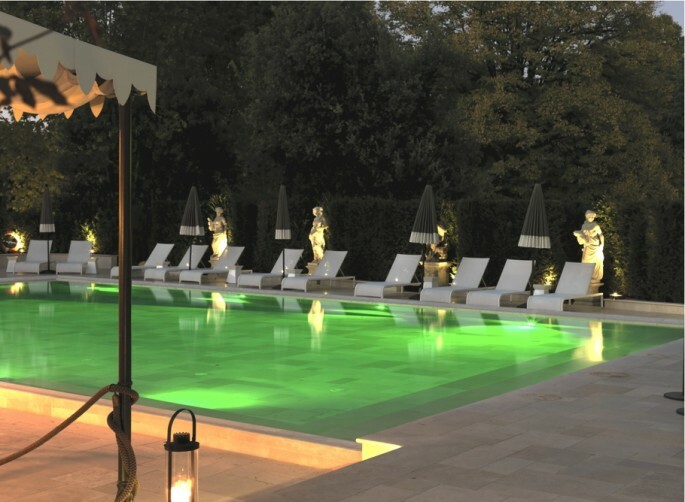 The wellness centre also offers Asian and European massages as well as beauty treatments in collaboration with the cosmetic-pharmaceutical company MacPharma. 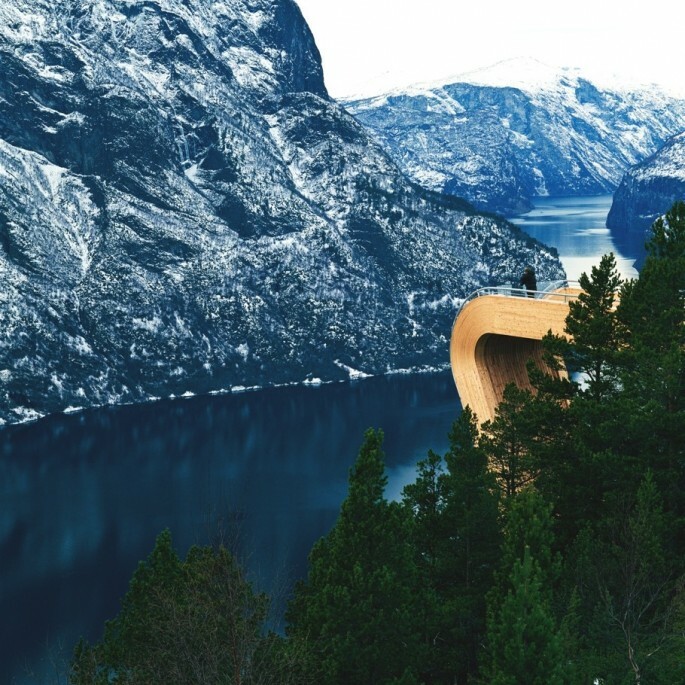 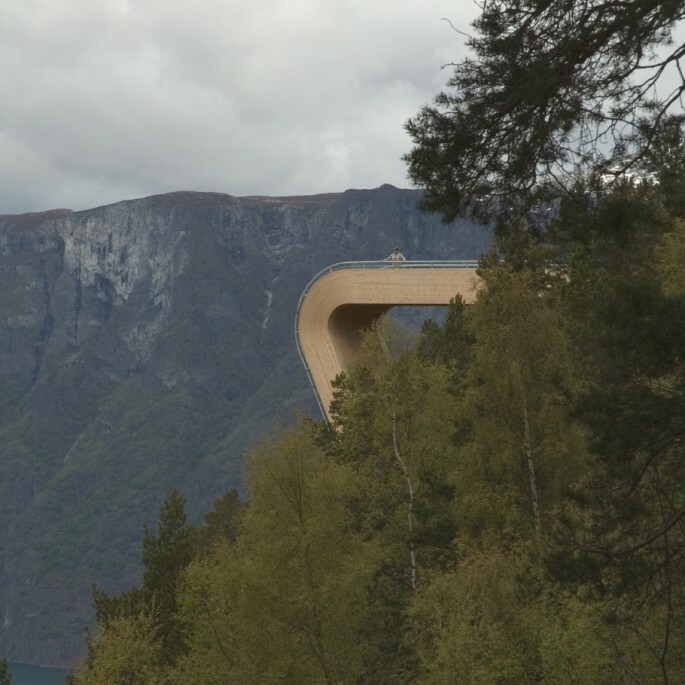 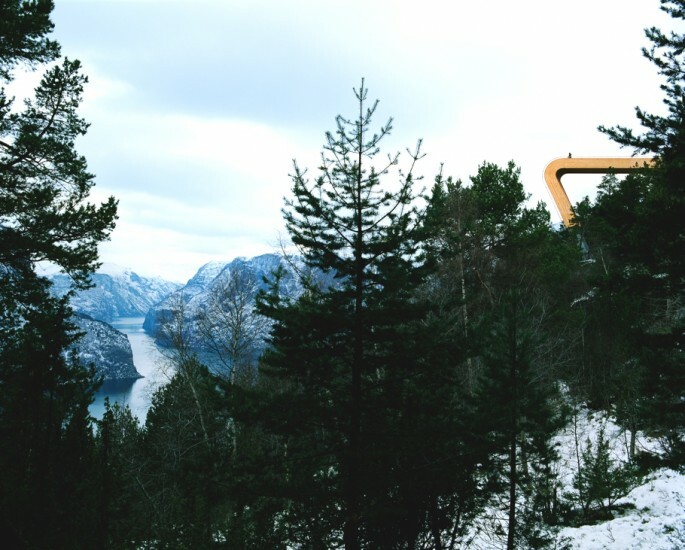 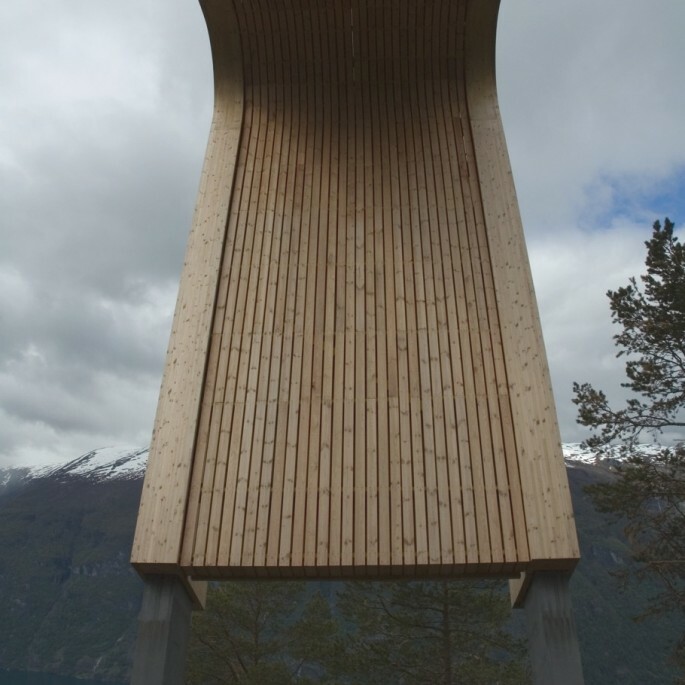 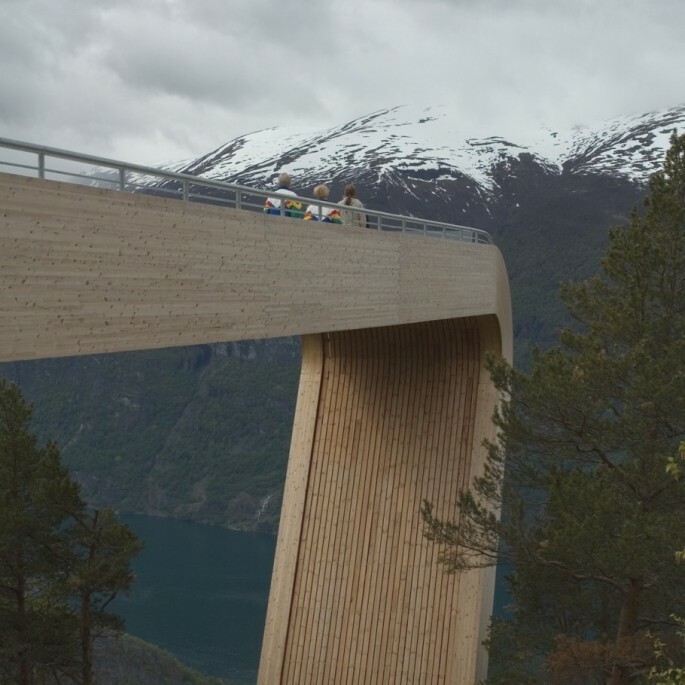 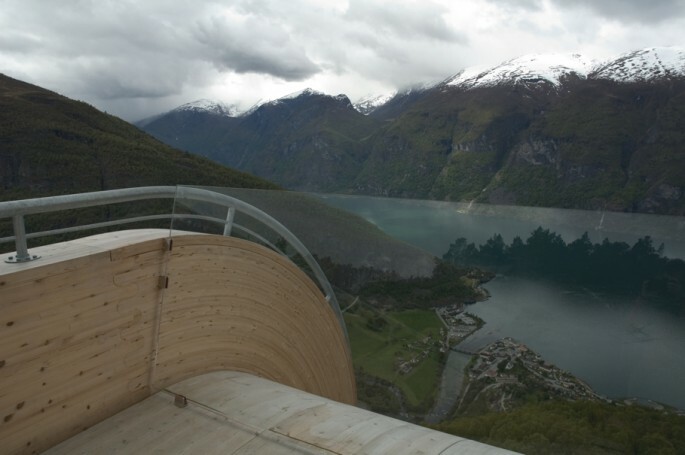 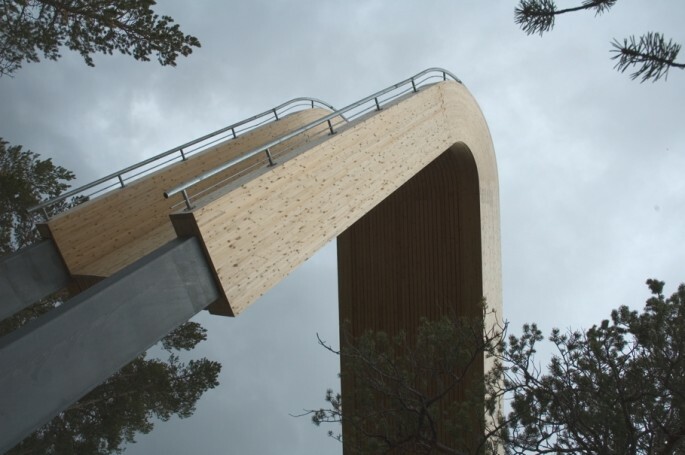 Bergen-based architect Todd Saunders and Røyneberg-based Tommie Wilhelmsen have designed the Aurland Lookout. 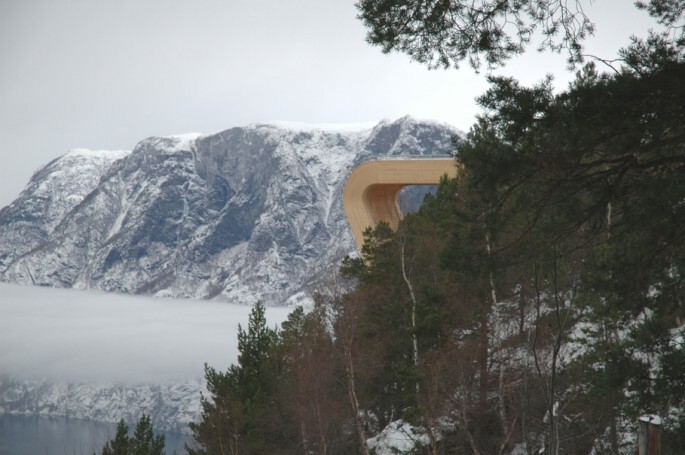 Completed in 2006, the award-winning contemporary structure can be found in the Aurland, a small town in Sogn og Fjordane, Norway. 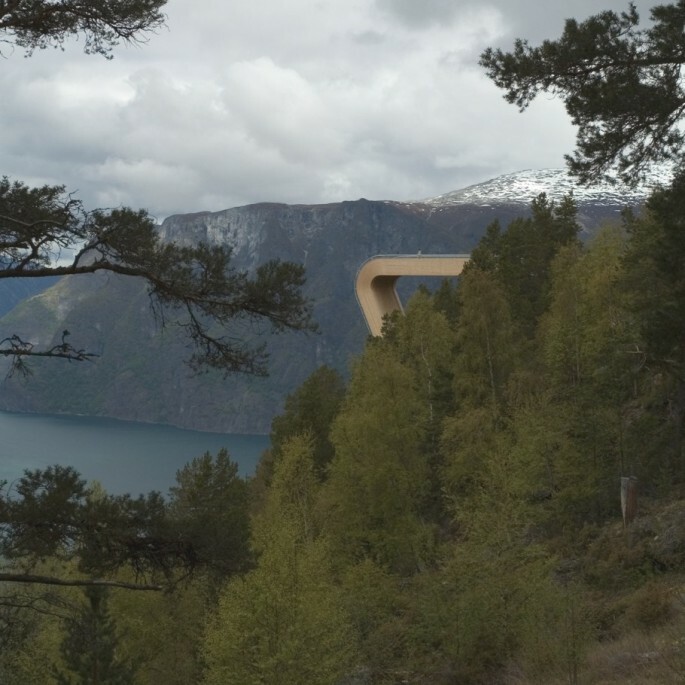 The contemporary viewing structure has 30 viewpoints and was commissioned by the Norwegian Highways Department. 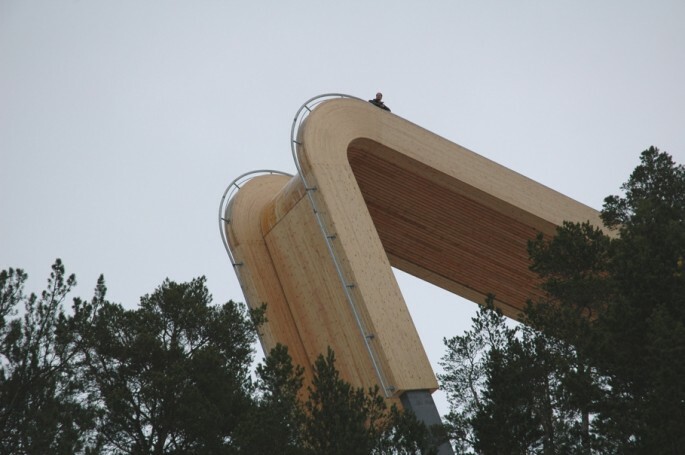 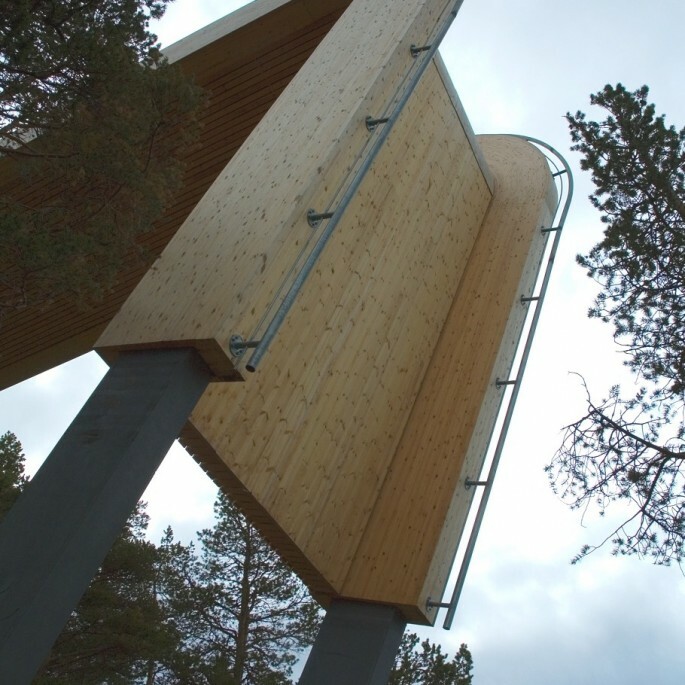 The 4m lookout stretches out 30m wide over the pine trees and is only 9m high. 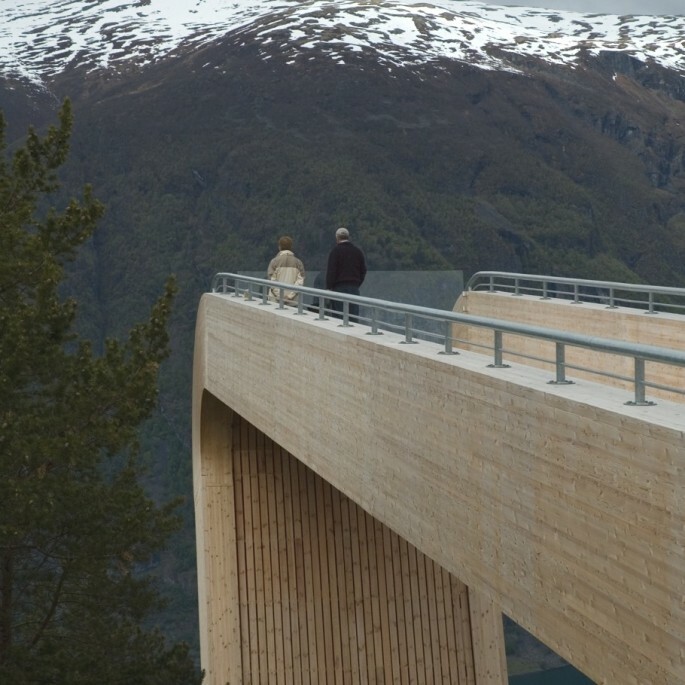 “To make the situation even more dramatic it was important for us to create the experience of leaving the mountainside. 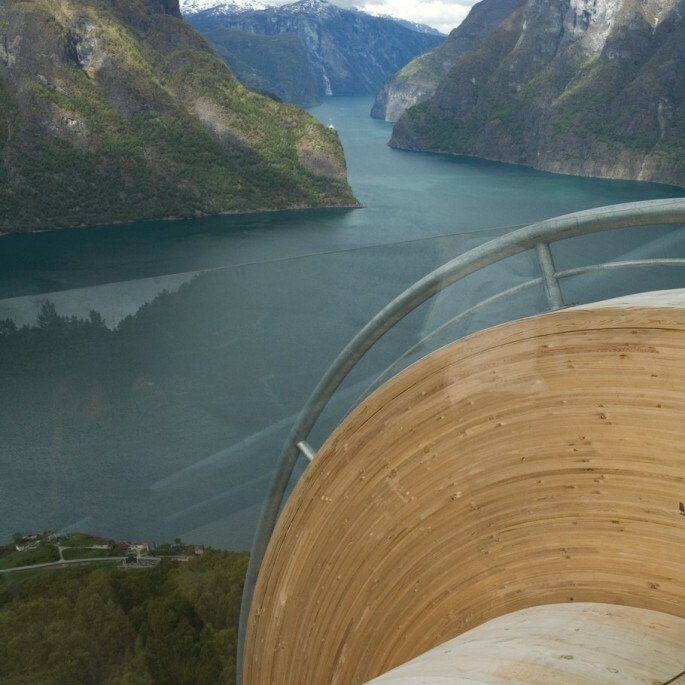 We wanted people to come out in the air. 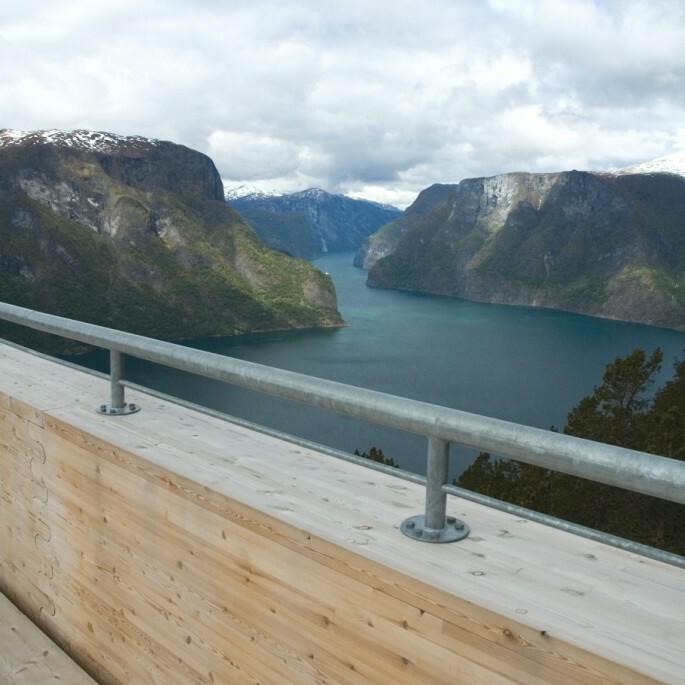 The construction creates a distinct horizon; a bridge in the open room of this large fjord. 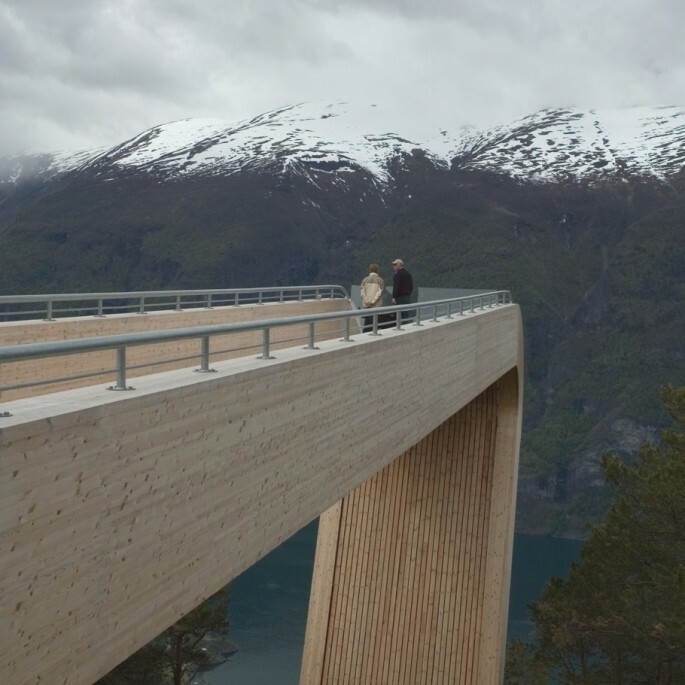 It is imperative that the landscape and the vegetation not altered, but are protected so that one came come out from the landscape and experience it from new standpoint. 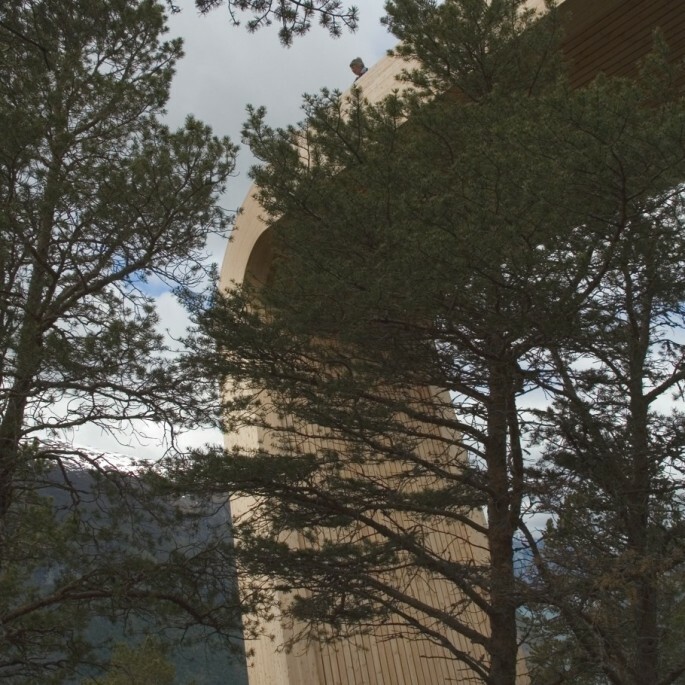 “We have managed to behold all of the large pine trees on the site. 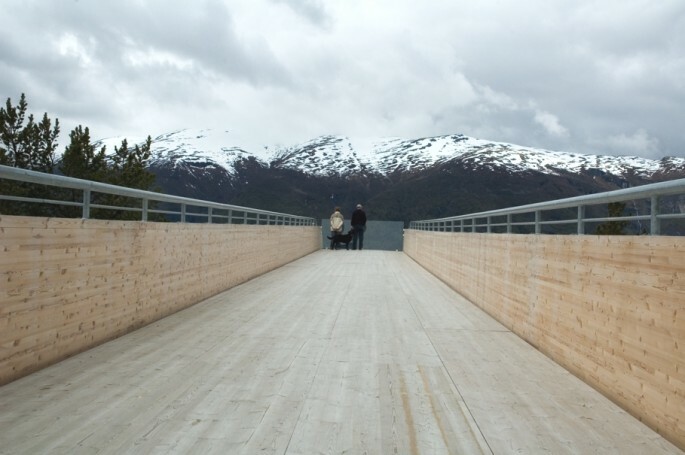 This allows us to create an interaction between the contemporary Norwegian structure and nature. 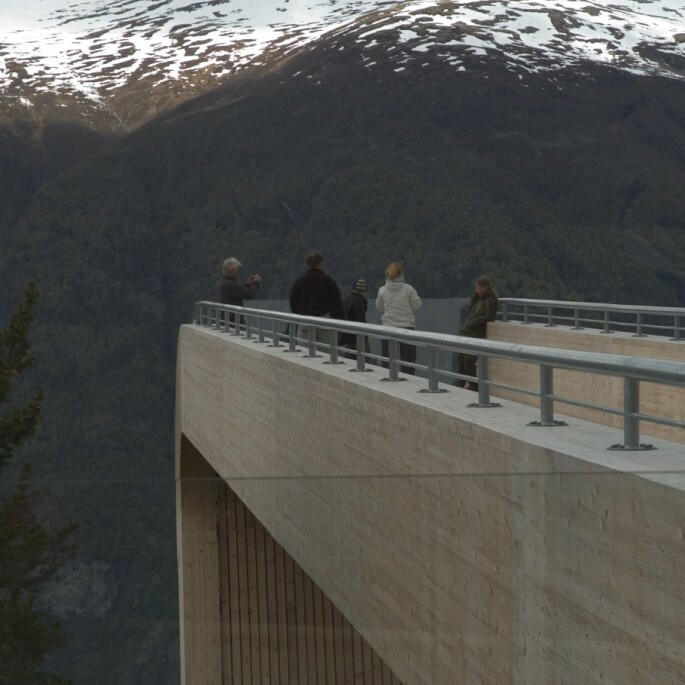 One can walk out into the air through the treetops, helping dramatise the experience of nature and the larger landscape room,” adds Saunders. 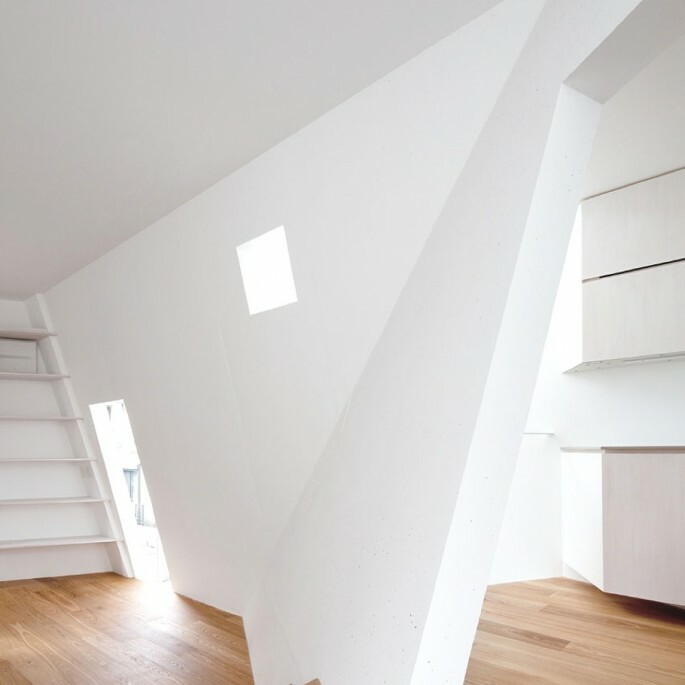 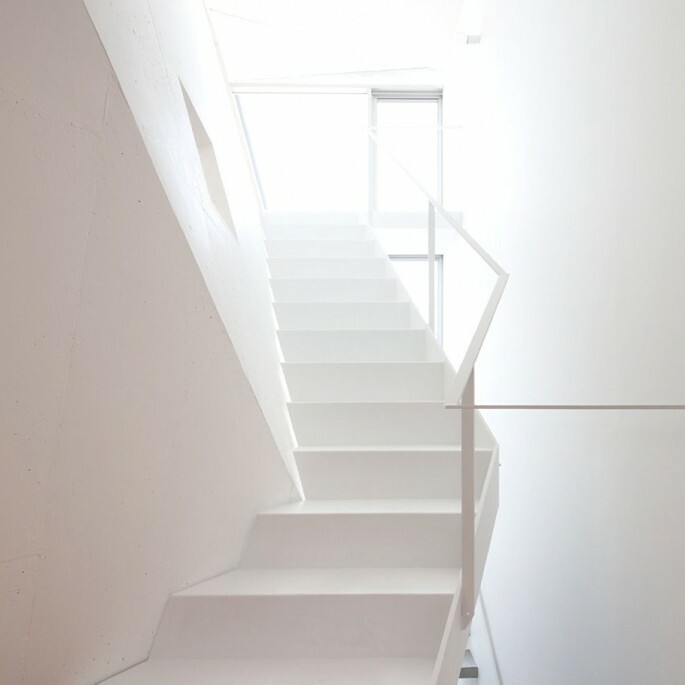 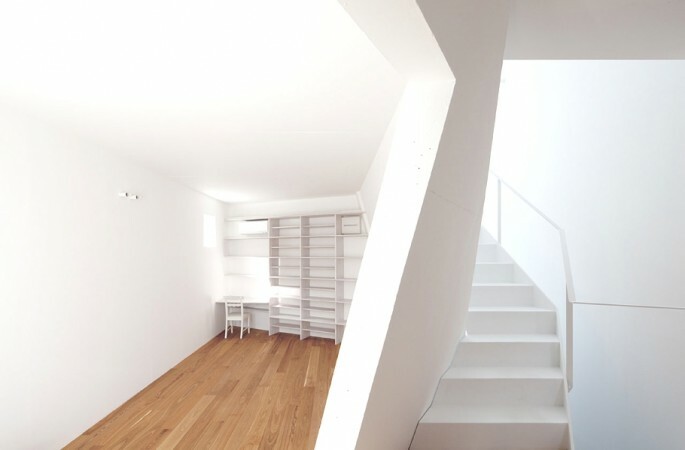 Rome-based architect Maurizio Giovannoni has completed the renovation and interior design of a compact penthouse. 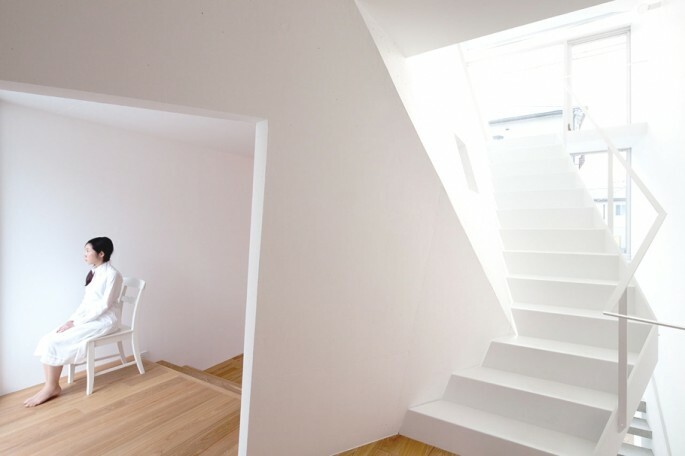 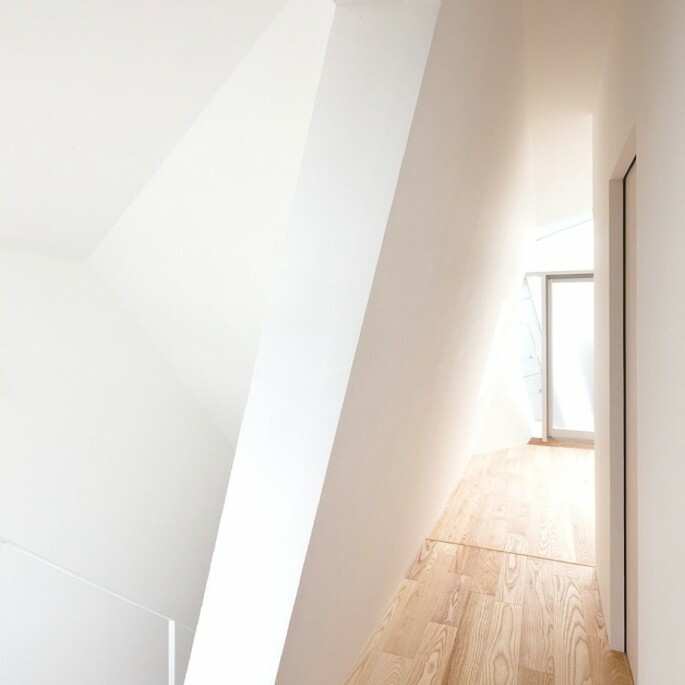 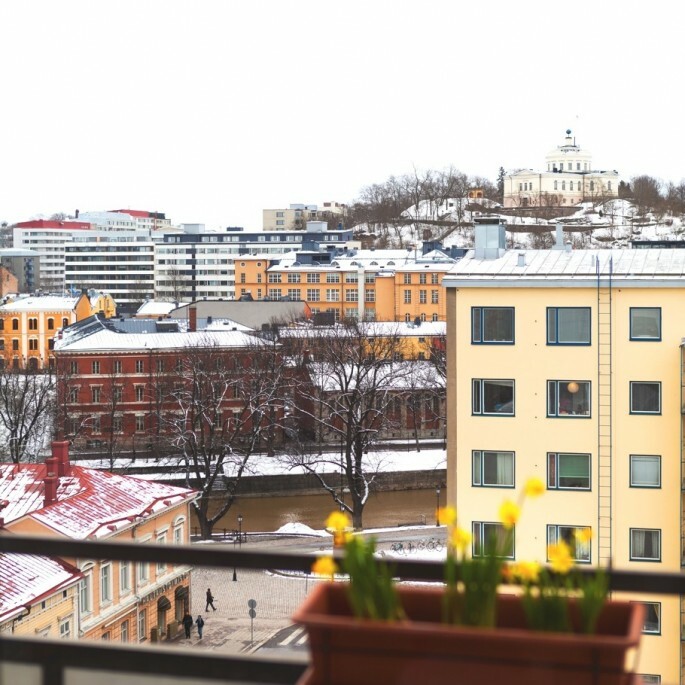 Completed in 2012, the modern apartment can be found in Turku, Finland. 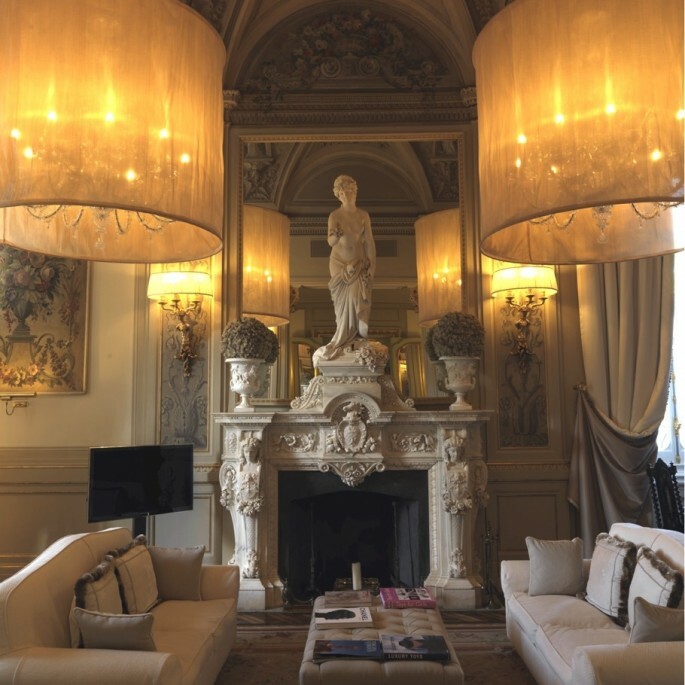 According to Maurizio his main objective was to ensure the apartment had plenty of light flowing inside, and to create a relaxing living room where his client could work. 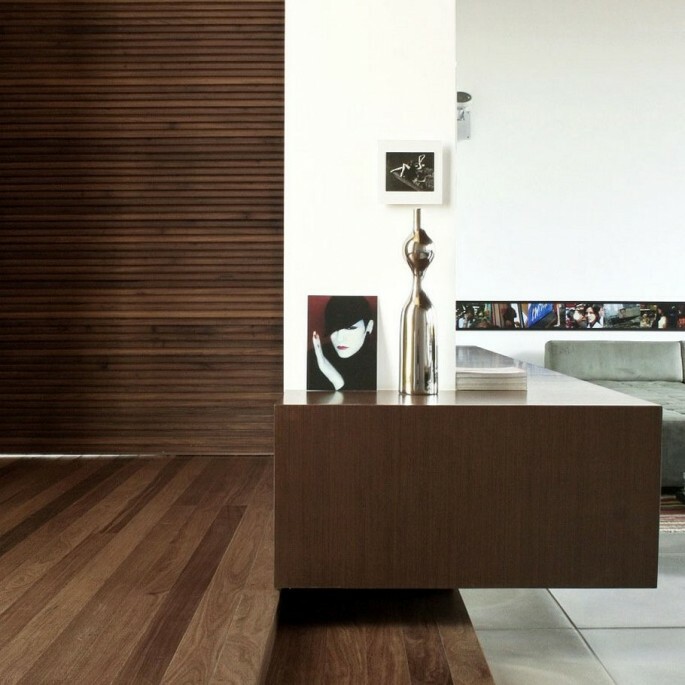 Maurizio’s concept was to amalgamate the best of Finnish and Italian design by mixing them both to create something fresh and new. 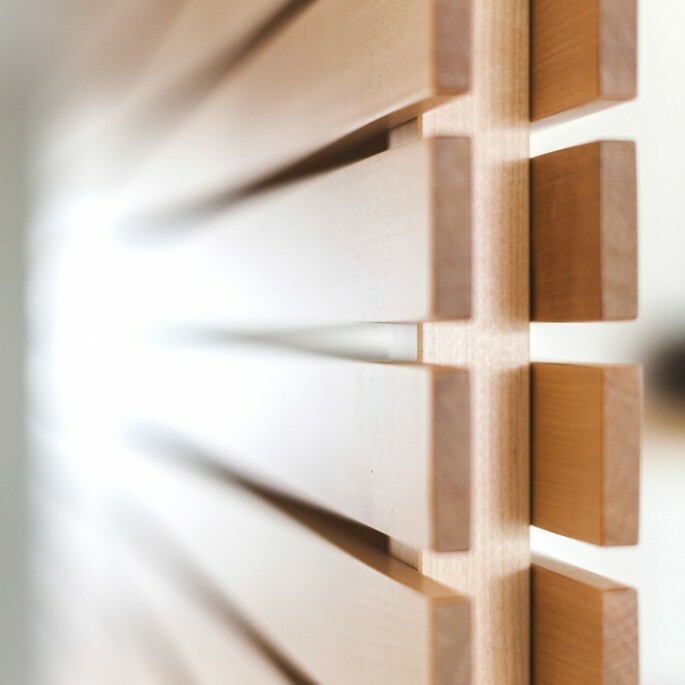 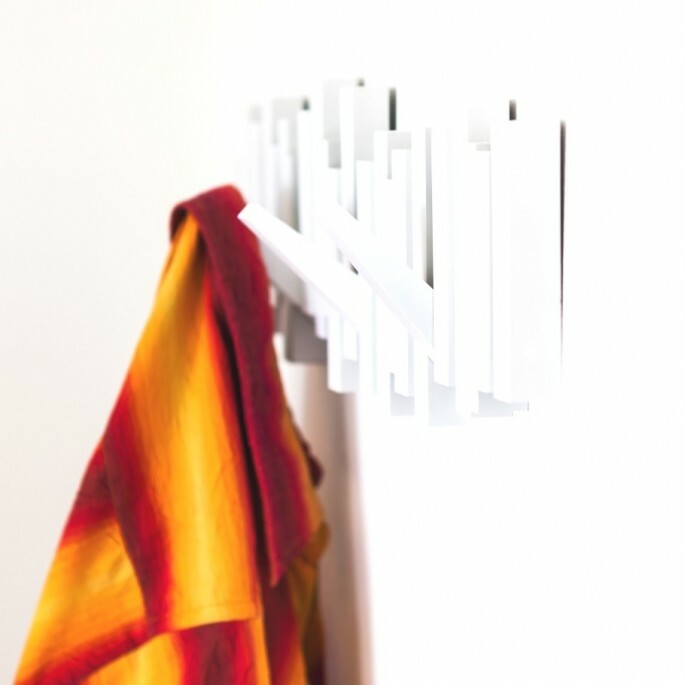 His concept was to use local Birch wood, Finnish vintage pieces and contemporary Italian design. 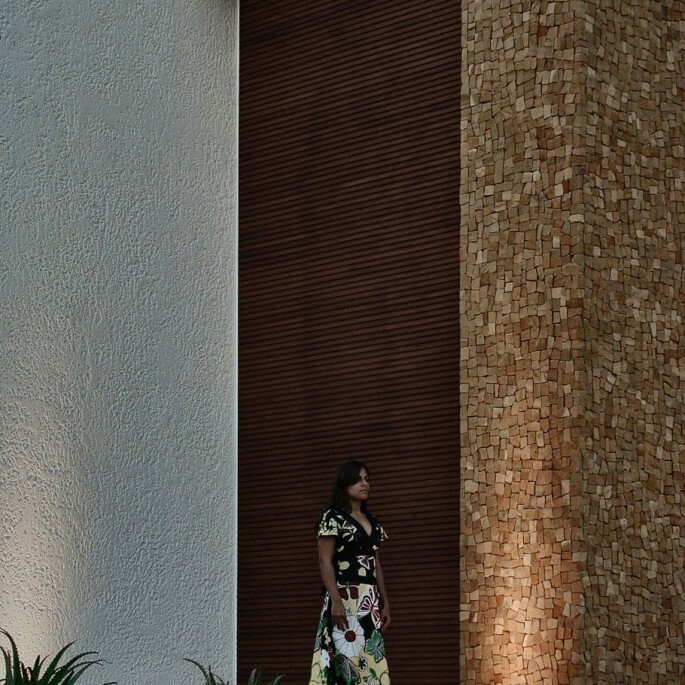 “The result is what I now consider my own personal style: a blend of cultures. 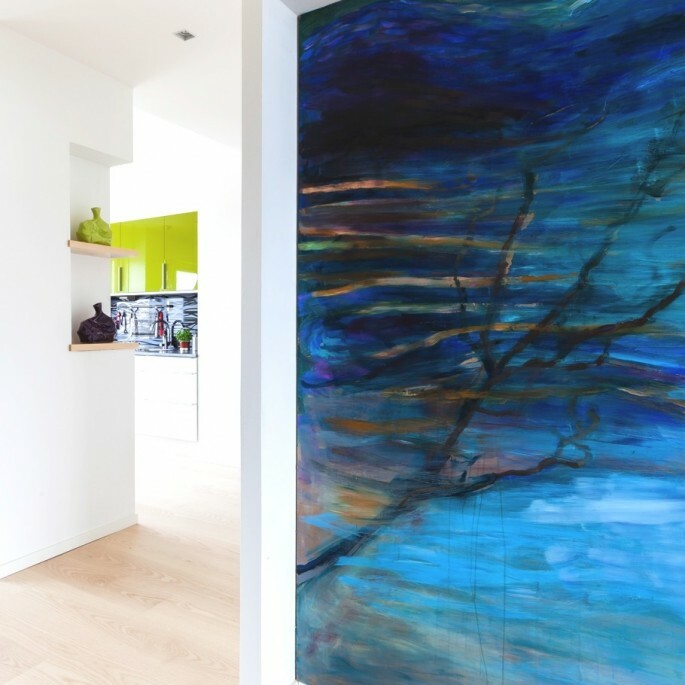 There is nothing more that stimulates me than to study different cultures and make cultural themes recognisable, but never intrusive in the project,” he said. 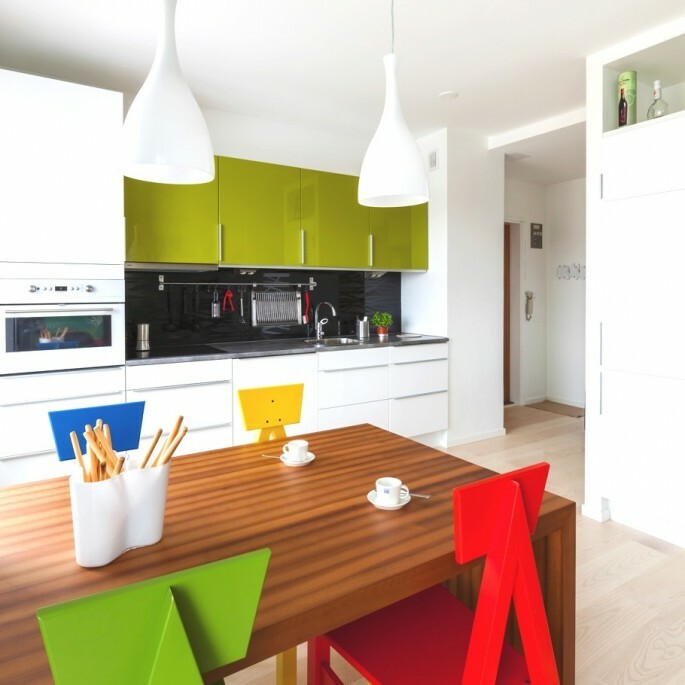 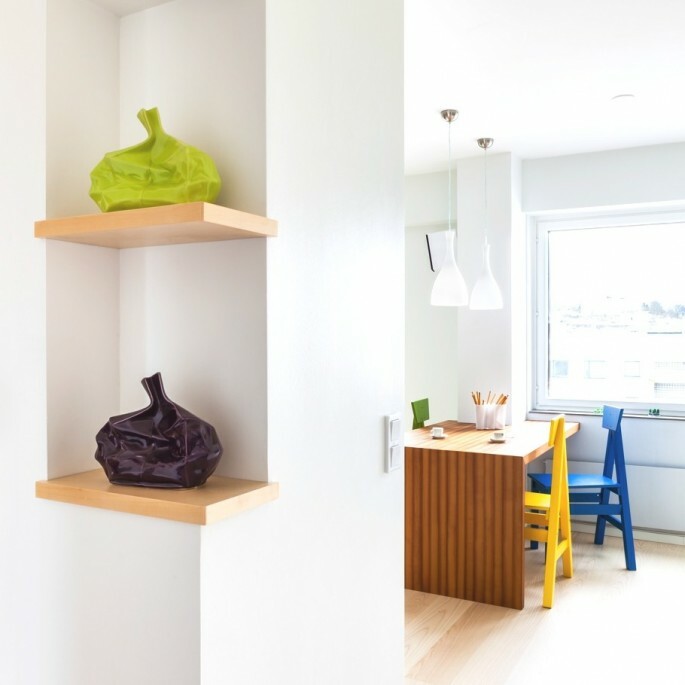 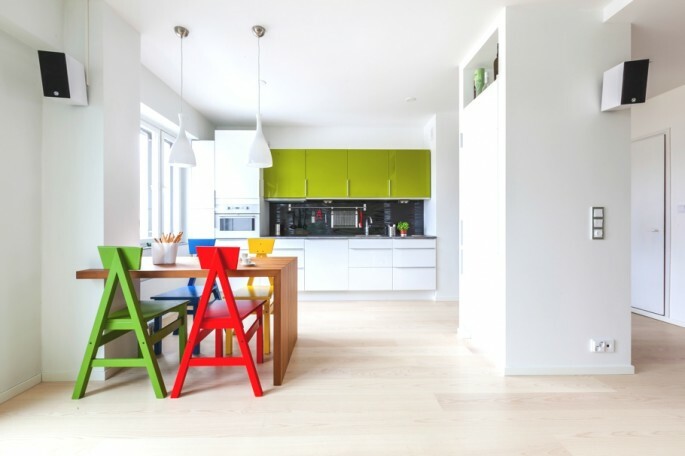 The flooring in the contemporary Finnish property is covered with parquet of white ash, the shelves are birch including the the kitchen table but coloured with heat. 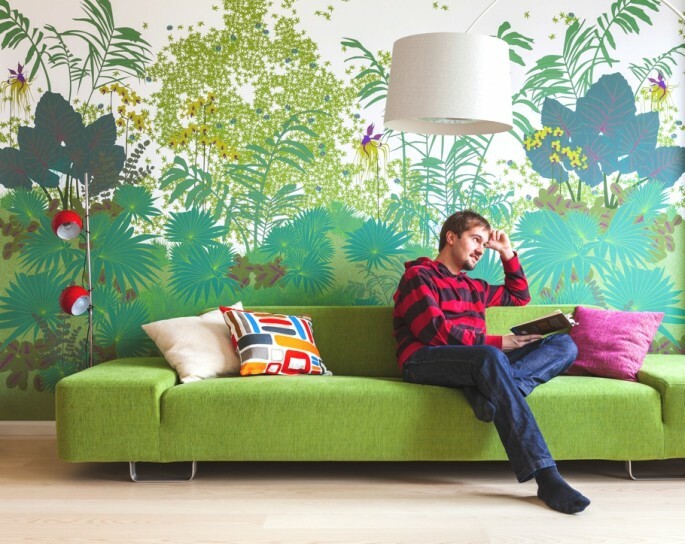 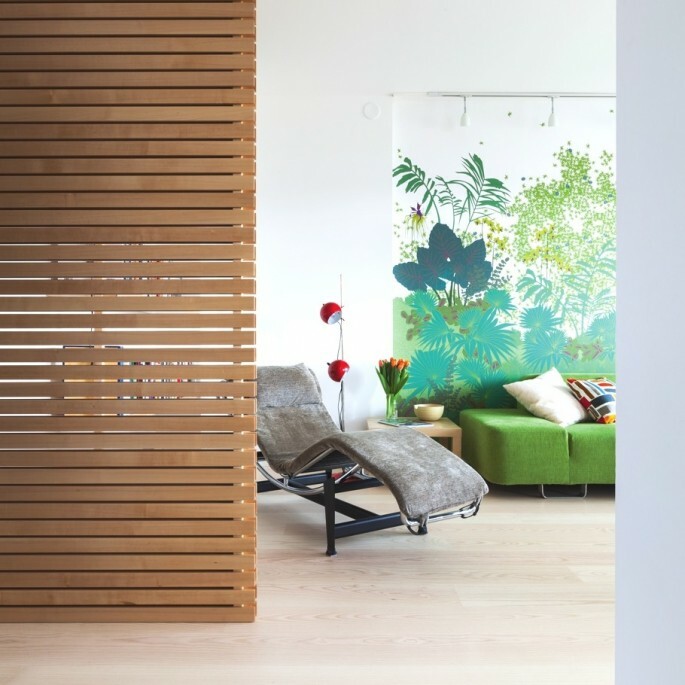 Wood is an ubiquitous element in this apartment as it is in many Finnish properties, but the real attention grabber is the nature themed wall paper, carrying colours and contrasts and a typical Mediterranean ‘courage’. 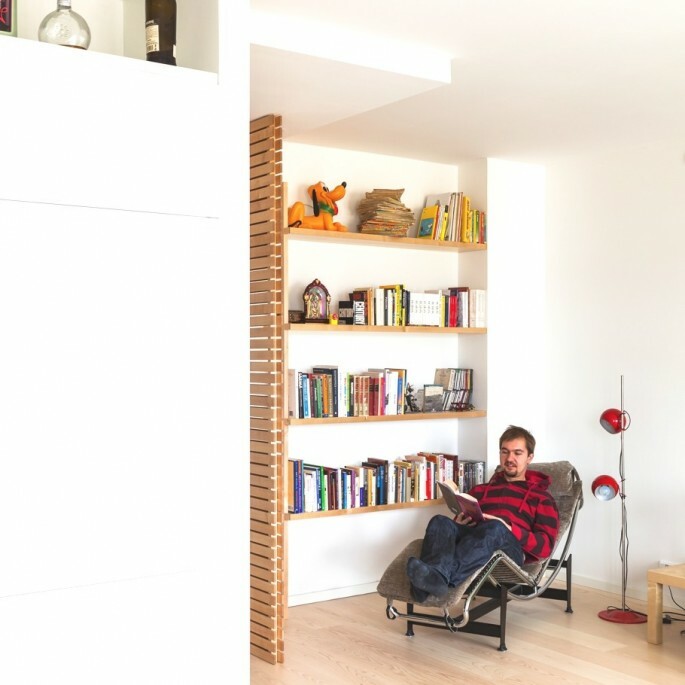 The furniture itself is a mix of the two cultures and of past and present — the grandmother’s armchair and the red floor lamp are a vintage pieces from Finland in the 60s. 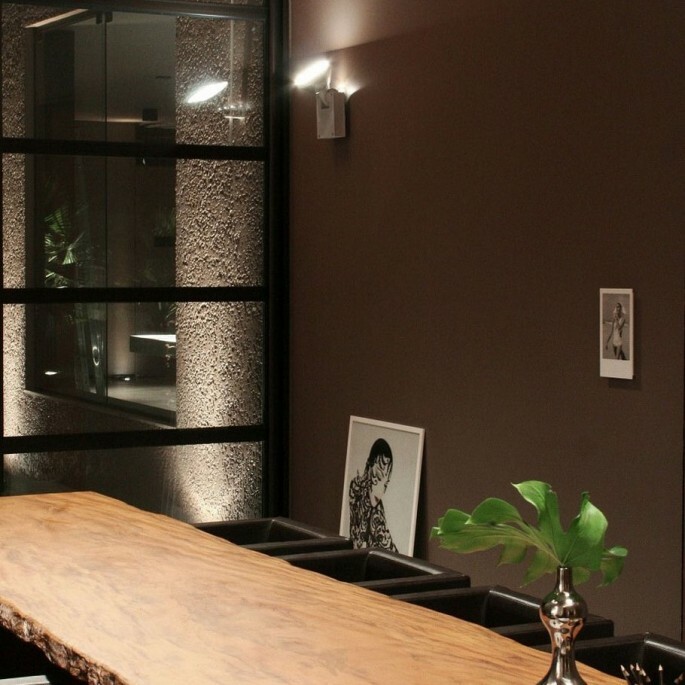 The arc framing the wall paper is the famous Twiggy by Foscarini and the suspended lamps are Italian Olimpia by Ideal Lux. 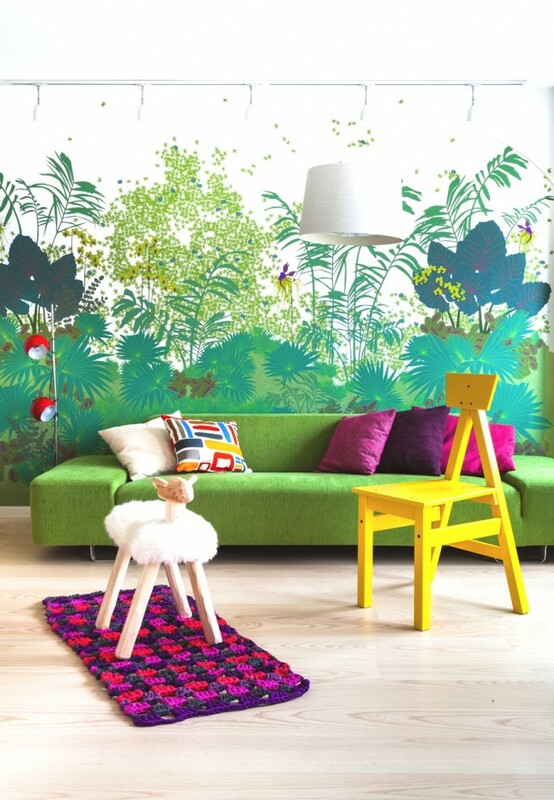 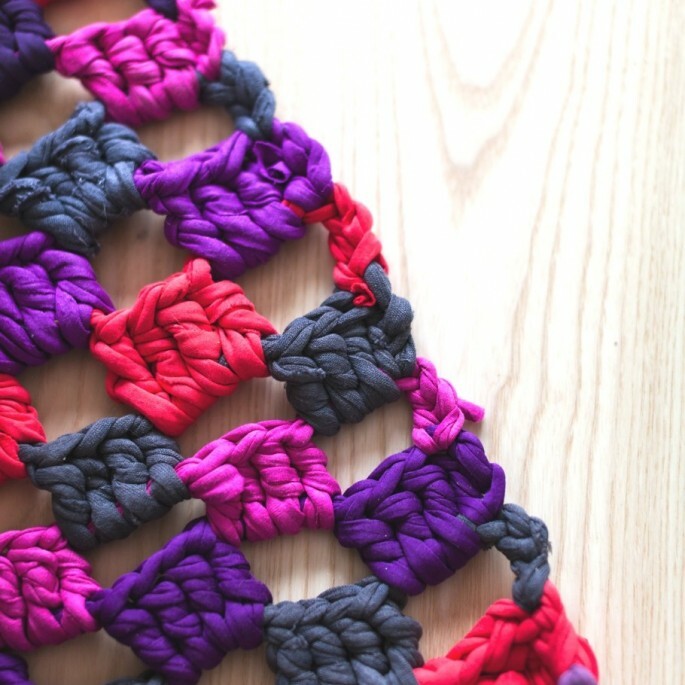 Everything blends in together to create perfect harmony.